ACC U19 Eastern Region 2017 1st SemiFinal Nepal U19 Vs Malaysia U19, Sep 16 Nepal U19 book their place in the final of ACC U19 Eastern Region 2017.Nepal U19 crushed Malaysia U19 by 10 wickets in a one-sided contest. We are familiar with Nepal U19 one-sided play in this series. 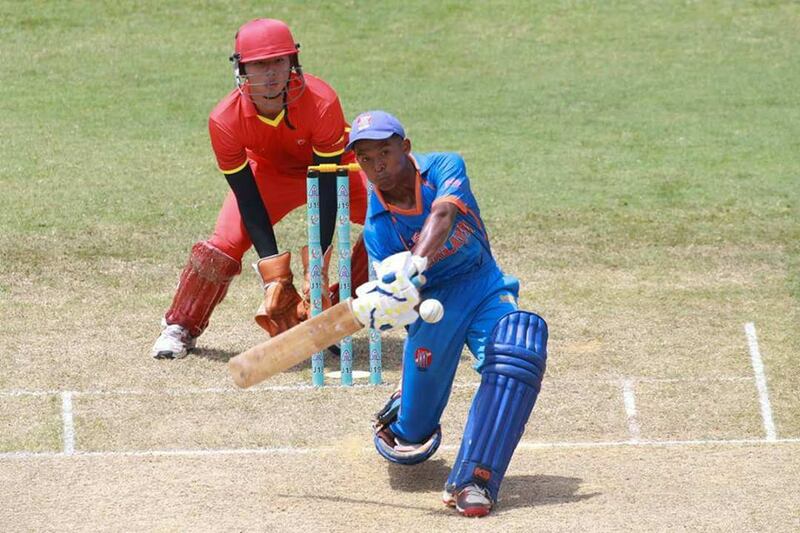 Nepal U19 chased down the target of 122 set by Malaysia U19 very easily with 10 wickets and 161 balls on hand. The opening partnership of 125 between S Sunar and A Sheikh totally killed the hope of Malaysia U19 team and their fans.S Sunar score 51 runs off 77 balls with the help of 8 fours where his partner A Sheikh score 50 runs in 65 balls with 8 fours and a 6.Malaysia U19 was very lazy on the field today as they concede 24 runs extra through weak performance on the field. Earlier, Nepal U19 had won the toss and asked Malaysia U19 to have batted first. They started the innings on lots of promise and show their passion but somehow lost their passion on the midway.They were on the score of 64/1 in 22nd over before Nepal U19 captain D Airee spoil their start. They lost their second wicket on 22.2 over and from that point, other Malaysian batsmen were busy on joining and leaving the crease, as a result, they got all out on the score of 121 in 42nd over.For Malaysia U19 their opening batsman N De Silva got the highest score of 39 runs where their captain V Singh score 25 runs. For Nepal U19 their captain D Airee once again took 5 wickets, young all Rounder P Sarraf took 2 wickets whereas S Lamichhane, R Paudel, S Alam took one one wicket each.Off-Spinner and Nepal U19 team leader D Airee was declared as Man Of The Match for his contribution of 5 wickets with the ball(8-1-29-5). Nepal will play the final of ACC U19 Eastern Region 2017 tomorrow itself with either of Singapore U19 or HongKong U19 depending upon their ongoing match result. Final will be held at the same venue, Kinrara Oval tomorrow. If Nepal has to take one positive from this match then its non-other than their composed and matured batting display where both of their openers converted the start that they got. Bowling has been their strength since past time so they became more destructive when their batsman also joins their hand with their bowlers. Nepal U19 is the most improved fielding side in this competition and fielding side haven’t disappointed bowlers in today’s encounter too. Best of Luck Nepal’s U19 young lads for your final tomorrow! Next articleNepali Rhinos started their Dallas Premiere League Campaign on a winning note.